After a few years of remarkable growth and profits, the momentum for Whole Foods has slowed a bit, such that it grew at only 2.5 percent last year, rather than the 7 percent annual growth it had been enjoying. But a commitment that the grocer made at its peak of success might be the solution—if it doesn’t instead make things worse for the retailer. That commitment from Whole Foods was a promise to open more stores in food deserts (i.e., neighborhoods in which people lack any easy access to healthy, affordable food options), including lower income and underserved areas in large cities. For example, Chicago’s Englewood neighborhood suffers from vacant buildings and a heartbreakingly high crime rate, and its residents earn an average of just more than $20,000 annually. Their access to fresh produce is limited, whereas neighborhood convenience stores sell mostly highly processed, packaged foods. When Whole Foods opened its latest store in Englewood, it first undertook a careful analysis to attempt to ensure the success of the location. Representatives interviewed local residents to determine what they would want to find at a new grocery store. The company worked closely together with government officials and sought various incentives and tax breaks to locate there. In particular, the City of Chicago waived the $3.1 million asking price for the site and gave Whole Foods the rights to the block for just $1. Reflecting its research, the Englewood Whole Foods is smaller than most stores, and it carries a larger selection of beauty products dedicated to African American consumers. Prices on certain staple foods, including eggs and dairy, are lower than the prices charged in several other stores in the city. It also agreed to requests from community leaders that it would not reject job applicants simply for having a criminal record. 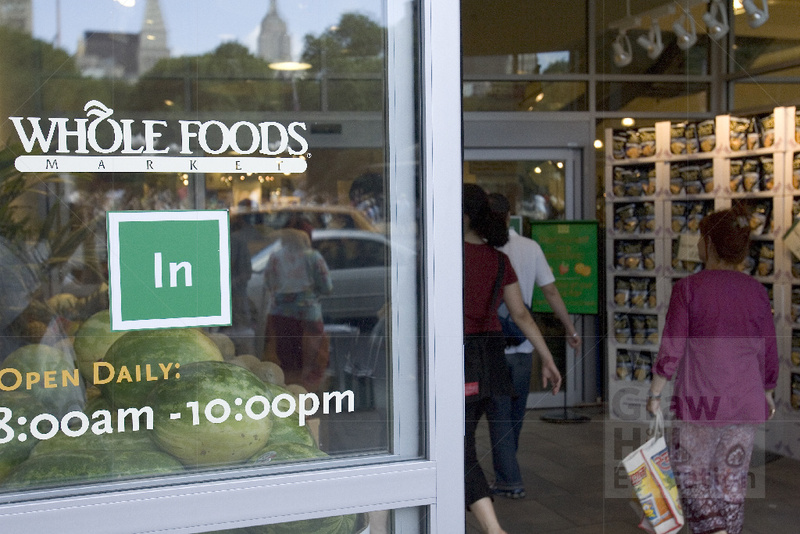 Along with these site-specific adjustments, Whole Foods has stocked the store mainly with its 365 brand, which offers a relatively lower price point, just as it does in other locations where the target population earns less than the stereotypical gourmet shopper. Yet questions remain. Some local residents note that the prices are still quite high, making it impossible to shop there and still stay within their limited budgets. Observers also note that Whole Foods’ brand image is closely tied to its provision of fancy, gourmet products, not daily essentials. In this sense, expanding into neighborhoods with less disposable income might be unsuccessful in not just the short term, when these stores fail to earn a profit, but also over time, when the brand loses its cache among wealthier shoppers. In Englewood, the opening of the Whole Foods was met with great fanfare. Whether consumers will keep coming back remains an open question, but if they do, they can enjoy another brand that is similarly famous for its high prices on gourmet items: Starbucks plans to open a shop in the same shopping plaza. Are retailers responsible for opening grocery stores (and other types of outlets) in historically underserved and lower income areas? Why or why not? How should retailers identify new places to locate their stores that might not appear viable according to their traditional location criteria?